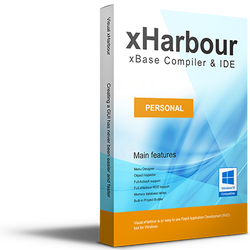 xHarbour Builder Personal is the cheapest way to start learning programming business applications for Windows. All your build applications are royalty free and ready to deploy. No extra DLL's or ActiveX components. You can always upgrade to the Professional or Enterprise edition with just paying the difference in price. 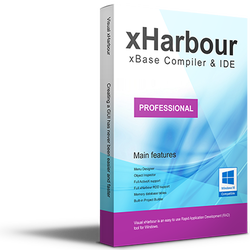 If you want to build professional grade applications for Windows, this is your best choice. All your build applications are royalty free and ready to deploy. No extra DLL's or ActiveX components. If you want to use SQL databases in your application, you can always upgrade to the Enterprise edition with just paying the difference in price. 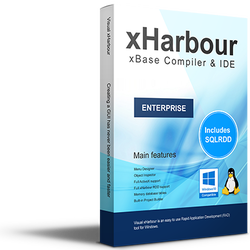 A 30 days Update & Service Subscription is included in every new purchase of xHarbour Builder.